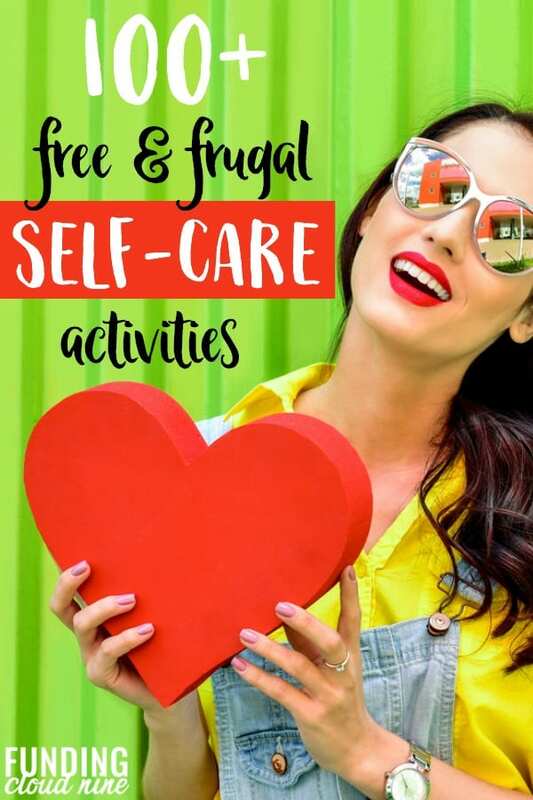 If you need a break from the craziness of life, here’s a list of FREE self-care ideas and activities to help you finally focus on yourself. Life is hard sometimes. It can be stressful, overwhelming, or just plain busy. The days seems like minutes and the to-do lists seem mile-long. Anyone nodding furiously yet? But it’s so, so important. Taking care of yourself, making sure you are happy and healthy, should always be a priority. The problem is that it can sometimes feel like there isn’t enough time or money to care for, or treat, yourself. But I’m here to prove you wrong. I created a long list of FREE self-care ideas. I also made sure to include self-care activities that don’t take up a lot of time. Only have 5 minutes? No problem. You’ll find something on the list. So let’s get started. Go outside for a walk (or a sit) for 10 minutes. The sun (and Vitamin D) does magic to your mood. The one thing in life you can’t neglect is yourself. Yes, you may have a million things to do and it’s so easy to forget about taking care of yourself (or even worse, intentionally not take care of yourself). But you are just burying yourself into a deeper hole of stress, worry, and ultimately an unhealthy lifestyle. I challenge you to pick one thing (just ONE thing) from this list. Everything on this list is free, and many things don’t take a long time. Money and time can’t be your excuse. You deserve it. What’s your favorite self-care practice?